You may think, The most expensive camera is equipped with various advanced features like Carl Zeiss lens, a resolution of up to tens of megapixels, image stabilization, and other advanced features. 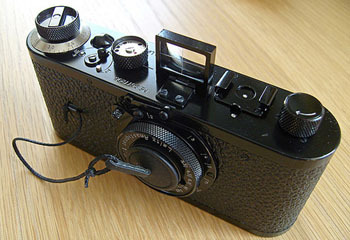 And it does not apply to the Leica 0-Serie Nr.107. Leica 0-Serie Nr.107 is the world's most expensive camera, but that does not mean the camera is equipped with many advanced features, why? because this camera is an old camera that was made in 1923. WestLicht, an auction company in Vienna, Austria has auctioned 88-year-old Leica camera with an opening price of U.S. $ 286,000 before being sold to a collector from Asia for U.S. $ 1.9 million.